Our structured recreational classes teach athletes ages 5 and above technical skills on each gymnastics apparatus. Using our very own certification program, athletes progress and learn gymnastics skills safely and with confidence, getting report cards and badges as they master levels. Classes begin with a group warm-up and stretch, followed by time on each apparatus (trampoline too!) and some conditioning to build the body for skills required in each level. 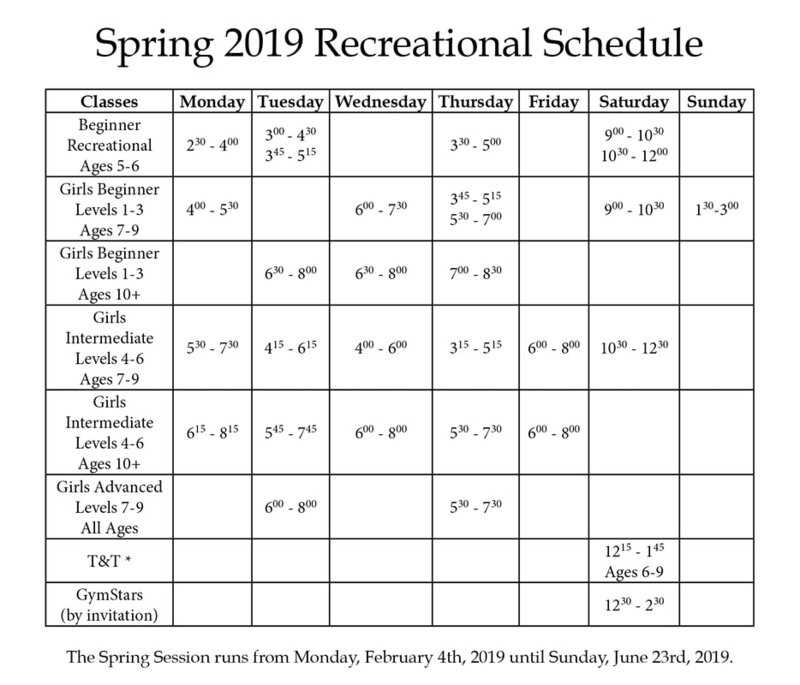 Spring 2019 Session Open Registration begins on Monday, December 3rd.